‌Classics offers a program that includes both a major and a minor centered on the study of the Ancient Greek and Latin languages in order to gain access to the richness and variety of the classical civilizations of Greece and Rome. 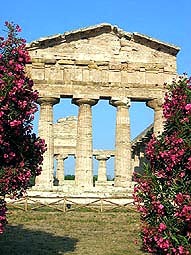 The program is conceived in broad intellectual, aesthetic, social, political, geographical, and historical terms, examining Greco-Roman civilization in itself and in relation to the many cultures that interacted with it in the Mediterranean and European world, from Iran, Egypt, Nubia, and the Etruscans, to Britain, the Franks, the Huns, the Lombards, and the Goths. Core courses introduce students to the language, literature, and history of the ancient world. Cross-listed courses taught in other departments also provide a window into the society, politics, art, archaeology, and architecture of antiquity. Classics has been pioneering in such diverse fields as social theory, history of science, and ethics. Studying the literary and material records of the ancient world allows one to confront at their source many of the issues pertinent to modern Western culture and indeed the modern world. Greek and Latin authors such as Homer, Sappho, Sophocles, Pindar, Virgil, Cicero, Horace, and Tacitus remain unsurpassed for their intellectual and aesthetic grandeur and their moral profundity. Many undergraduates who have elected to minor in Classics are majors in one of the sciences, pre-law, pre-med, a modern language, or English.